For Dutch people Kanjers is probably the most famous stroopwafel brand. 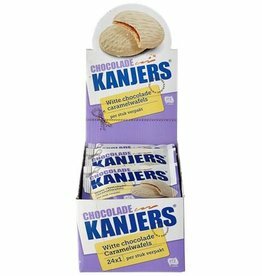 This brand is available in most convenience stores and hypermarkets in the Netherlands. 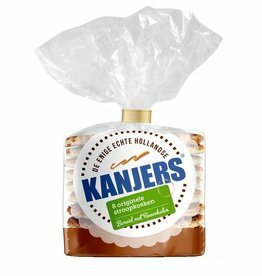 Not only in Amsterdam and Gouda but the brand Kanjers is spread out in the whole country. In fact this brand is not really old, the brand launched in 1995 and did a good job so far. Stroopwafel World is expanding this brand to others countries. The taste of the stroopwafels is very crispy, this makes the stroopwafels unique. 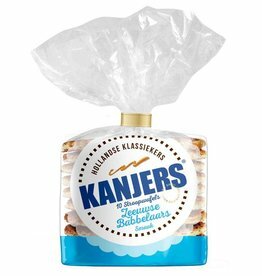 Kanjers are very popular in the Netherlands and this is a good thing since the brand is still quite young. Since the stroopwafels are double packed they stay in good condition during the shipping abroad to another country. Did you try all different kind of Kanjer products? The funny thing from the word Kanjer is that it means something very nice in Dutch. It means something like a compliment when you did a good job. For example you are a: ''Kanjer''. Delicious white caramel chocolade waffles.